ARROS works with people with a learning difficulty who are at risk of homelessness living in the greater Brisbane metropolitan area extending north to Caboolture. ARROS also works with young people transitioning from care. Through CLA’s Transition Mentoring Program, youth mentor volunteers offer support and guidance to young people making the transition. If you’d like to know more about the work of a youth mentor volunteer or are interested in becoming one yourself, then click here to find out more. Community Living Program (CLP) works with people with a cognitive disability, their families and significant others, who live in north east Brisbane. CLA is also a host provider of the Your Life, Your Choice Brokerage Arm, offering a range of approaches to self-directed individualized funding and money management. Community Connections works with young people to address issues affecting their ability to stay at school or home and where appropriate, offers support to their families, caregivers and friends. The team also works with schools in Brisbane’s northeast, providing specialised and integrated consultancy services (Click here to read the brochure). These services are delivered through the Reconnect program, part of the Department of Social Services. For more information, contact us on (07) 3266 5199. BEROS (Brisbane Emergency Response Outreach Service) is a consortium service between Community Living Association (lead organisation) and Micah Projects, and is funded by Department of Communities Child Safety and Disability Services (Brisbane Region). BEROS works with young people aged 12-18 years old who are in the care of Child Safety and are self-placing and are often sleeping rough and couch surfing. BEROS also often engage with young people who are still connected to a placement but are regularly absent from placement working alongside the young person’s Child Safety officer and placement to keep them connected to their placement and support them to safely return. The service provides outreach case management to young people Monday to Friday 9am- 5pm. Working alongside young people, Child Safety and other key stakeholders to connect young people to safe and stable housing, increase safety and stability and support young people to access resources. BEROS operates a BEROS street to home service 7 nights a week 6pm til midnight. BEROS STH engage in assertive outreach to ‘hotspots” known as areas young people frequent and sleep rough, respond to child safety after hours referrals, provide transports for young people back to placement or safe self-placing options, respond to young people in crisis and provide welfare checks and the provision of practical support. BEROS also provide overnight support for up to 2 nights for young people who are self-placing. Overnight support workers are able to provide case work support to these young people and support young people to engage with the case management team upon handover the following day. Referrals Monday to Friday 9am-5pm are made via a phone call to team leader Chloe- 0447 385 199. referrals can be made by anyone including Child Safety, the young person, other services, etc. Click here for BEROS’ brochure. CLA, Jabiru, Micah Projects and Kybara have joined force to promote social change at both the community and system level. We are committed to a community development approach, early intervention and family support within a social justice framework. Go to Micah Projects’ website for more information. Services can be provided through the Commonwealth-funded Better Access to Mental Health Care Programs and the Access to Allied Psychological Services Program (ATAPS). For more information contact us on (07) 3266 5633. Village Housing provides long-term housing options for constituents of Community Living Association as well as other eligible community members. CLA Inc is registered as a community housing provider under the National Regulatory System for Community Housing (NRSCH). Click here for the certificate. Living arrangements vary under Village Housing – members are people with and without an intellectual disability and some of the housing is owned or partly owned by tenants. Building social inclusion is a key focus of Village Housing with members taking an active role in their living arrangements and the community. Through donations, CLA is able to assist a number of people in crisis through subsidizing private rental. There are also ways in which you can support Village Housing financially by making a donation or a bequest in your will. Our Pay Pal ‘Donate’ facility (see the Get Involved page) allows you to make a secure donation by credit card with an invoice automatically emailed to you. If you would like to know more about Village Housing, including obtaining an information pack, or are interested in making a bequest, please contact us on (07) 3266 5633. Young Peoples Homeshare creates safe, secure, stable and supported housing for young people at risk of homelessness. Participants share either a two- or three-bedroom property with a mentor who supports their transition to independent living. Arrangements differ from house-to-house depending on the needs and goals of the young person and the interests and skills of their mentor. Mentors receive a reduction in their rent in exchange for helping develop their housemate’s skills, interests or relationships in the house or local community. For more information, download the brochure or visit the Homeshare Brisbane website. CLA is offering an NDIS Support Coordination service in Ipswich. Our support coordinator Hollie runs this service. Hollie has unique skills to help people transition to the NDIS and learn to manage their supports. experienced in working in a special school with parents and children. 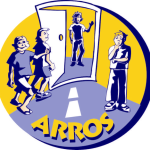 ARROS works with young people with an intellectual or cognitive disability who are homeless or at risk of homelessness. The team’s outreach activities aim to help young people access safe, affordable and integrated accommodation; rebuild and strengthen existing relationships as well as develop new ones; and participate in communities, and develop the capacity of those communities to support them. Building relationships, both with young people with a learning difficulty and with their families and the community. Commitment to work with them over the long term. Respecting the contribution that young people can make and promoting that message to a wider audience. Building resources and capacity particularly with families and the wider community to enable them to support young people with a learning difficulty to feel valued and respected. Being flexible in recognising that each young person’s situation may require a unique response. 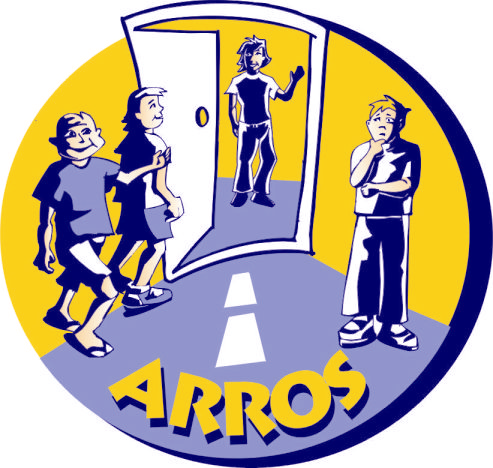 ARROS also works with young people with an intellectual and /or learning disability who are leaving foster care because they are turning 18. Work begins with these young people once they turn 15 and they can access the service until they turn 21. This work is funded under Transition and Post Care Support from the Department of Communities (Disability and Community Care Services). In support of this work, CLA has established the Transition Mentoring Program. Under this program, youth mentor volunteers offer guidance, support and encouragement to a young person to help them make the transition from foster care to independence. Volunteers don’t need specialist skills, just a willingness to listen, care and understand. Ongoing training and support is provided in return for a commitment of a minimum of one hour per week for twelve months. This is a rewarding experience both for the young person and their youth mentor. To find out more, contract us on (07) 3266 3788. Community Living Program works with people with a cognitive disability, their families and significant others who live in Brisbane’s northeast. The program is sponsored by Community Living Association and funded as a community access service by Disability Services Queensland. The CLP team helps people to make connections in the community, address common issues with others, plan for the future, and find ways to make living in their own place more comfortable and safe. CLA is a Your Life, Your Choice host provider that works with people to self manage individual funding packages. The team offers a range of approaches to individualised and self-directed funding. We offer a free introductory session for people with a disability and their family to begin the planning process. For more information, contact the team on (07) 3266 5633.